Practical and versatile optional banner for use with the Cascade Literature Holder. 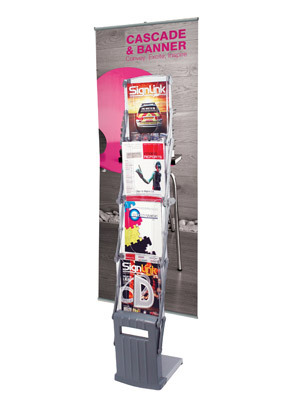 Easy to assemble and lightweight in design, this adaptable banner can be mounted any way preferred, allowing you to promote your message from either side of the literature holder. 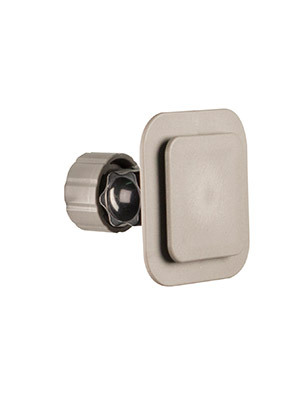 The Literature Holder Bracket is a secure conduit with which an Injection Moulded Literature Holder can be mounted to a Universal Accessory Clamp. 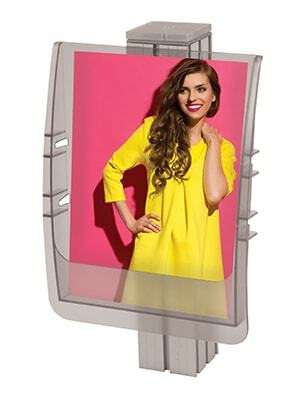 The literature holder simply slides over the bracket and accepts all three sizes, DL, A4 and A5. The bracket can be adjusted so that when it is mounted horizontally it can lean forward or back, yet when it is mounted vertically, the bracket can pivot left or right.